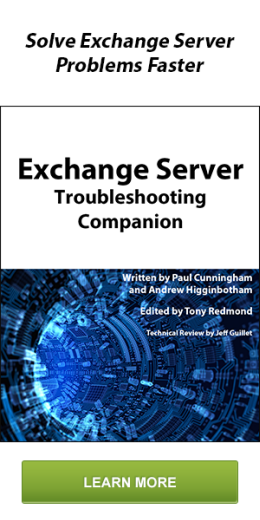 Customer running Exchange 2016 RTM was unable to create Mail Contacts in the Exchange Control Panel (ECP) or Exchange Management Shell (EMS). 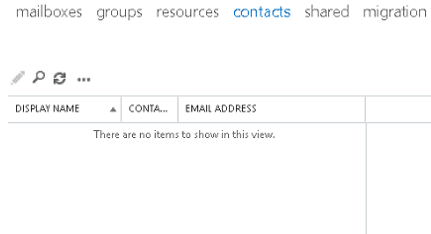 When opening EMS, the New-MailContact cmdlet was not visible, which was an indicator that there was a Role-Based Access Control (RBAC) permissions issue. Within ECP, the Plus symbol was not visible. Customer was using the Administrator account that was a member of the “Organization Management” RBAC default role group. We also tested with a new account that was also added to the “Organization Management” group and the issue persisted. We also experimented with adding the test account to all default RBAC role groups and the issue still persisted. We also had the customer update to Cumulative Update 6 and the issue still persisted. The New-MailContact cmdlet was available and working. Therefore, I knew it was an issue with RBAC via Remote PowerShell (as locally loading the Exchange modules bypasses RBAC). This told me that somewhere in the RBAC framework, the Mail Recipient Creation role was missing as an assigned role for the default role groups. After running these commands and logging into ECP again with the Administrator account, we were then able to create Mail Contacts. You may find that some things will work in the Lync GUI that will not work in PowerShell (Access Denied), the reason for this is that RBAC only applies to remote PowerShell and local PowerShell uses the AD permissions and not RBAC. 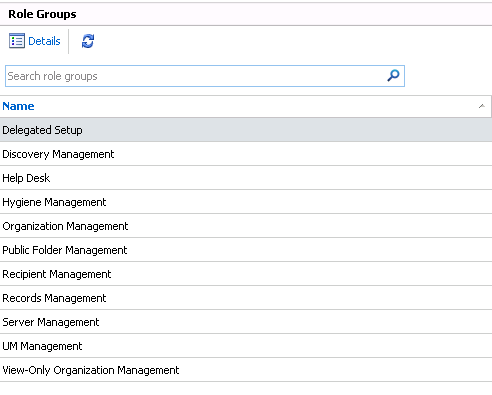 Get-ManagementScope – displays defined scopes, or details of a individual scope. In case you don’t know “Role Based Access Control” is the new permission model for exchange 2010, it allows you to be granular and specific in your delegation of permissions, which is a great thing but takes a good deal of forethought to get properly configured. The good news is once you do you can simply put your admins into the applicable groups. So now I can add my admins to that group and they can Manage users and distro groups in that OU. I do want to point out this is specific to exchange and is not the same as AD permissions.